ALPENA: The Wildcats have proved to be a team that can handle pressure this year and their double header against Cheboygan only added to their list of battle tests. 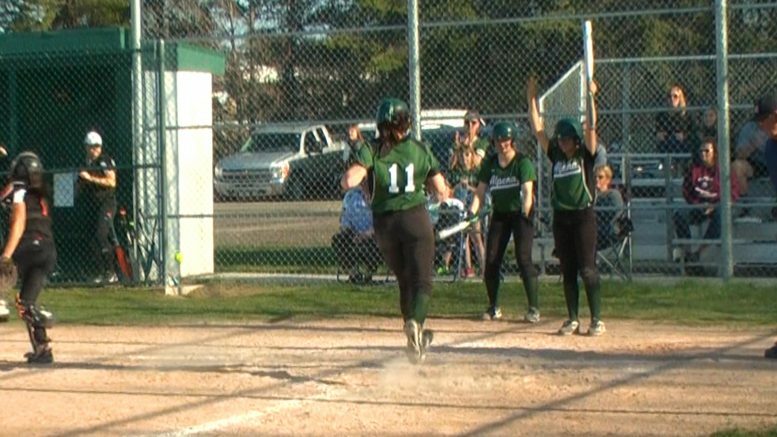 In game one Alpena trailed 4-1 early, but rallied back to tie and break the game wide open for a 14-4 mercy rule win. The second game of their double header proved to be a tougher challenge as Alpena trailed 7-0 thanks to a 6 run 2nd inning by the Chiefs. Once again, the Wildcats took things one play at a time and showed resilience by rallying for a 12 to 9 win to complete the sweep on Cheboygan for the day.